It was a Saturday and the shop was rammed. Last year or the year before we'd bought F&M mince pies and they were gorgeous and worth their hefty price tag. Spotting the mince pies on the ground floor, we grabbed a box before heading towards the stairs and the upper levels, pausing to admire the suspended Christmas trees over the atrium and those throughout the store. So with mince pies in hand we found the Christmas shop, it's on the third floor, alongside the fabulously named Gentleman's Accessories if you just want to happen upon it too. 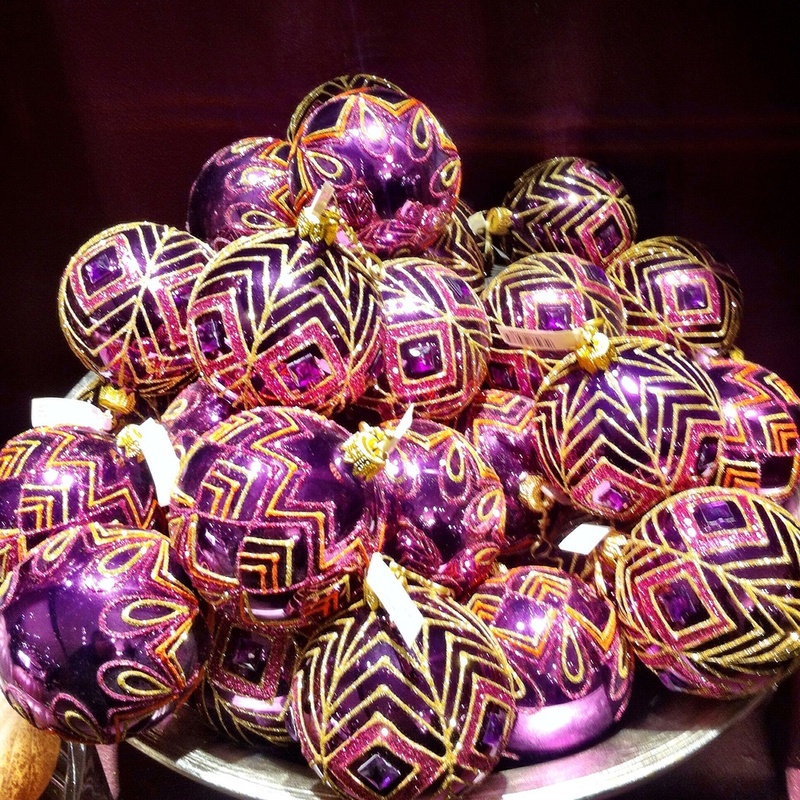 There were tables of jars, pots and baskets of baubles - a magpie's heaven. 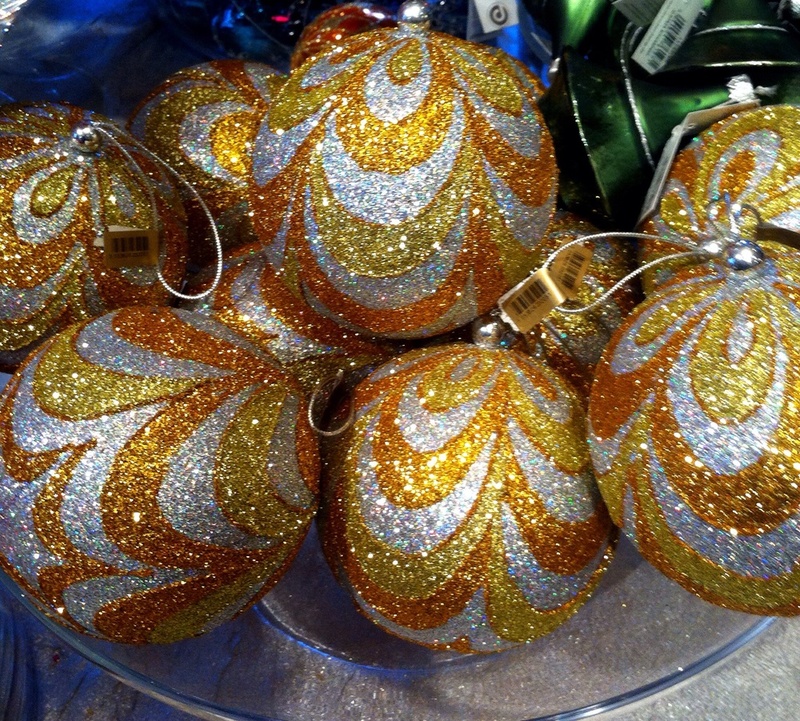 And gold of every shade, embellished with swirls, glitter and frosting as well as plain - if a gold decoration can ever be plain. 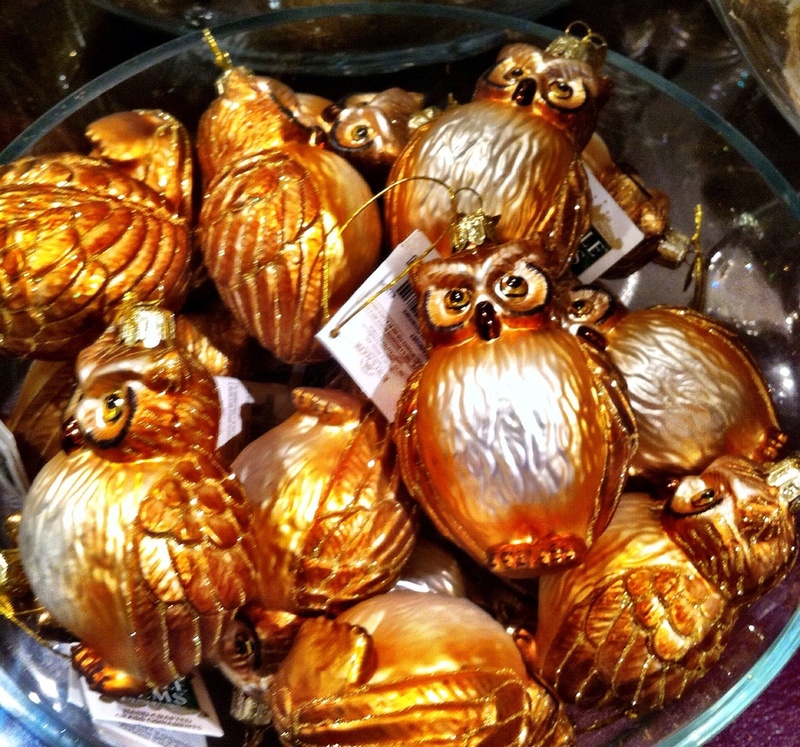 Or there were owls of varying sizes, either for the tree or for your mantelpiece. Or perhaps you'd prefer the cute silvery bird above nestled in your tree? If birds aren't for you, perhaps feathers. 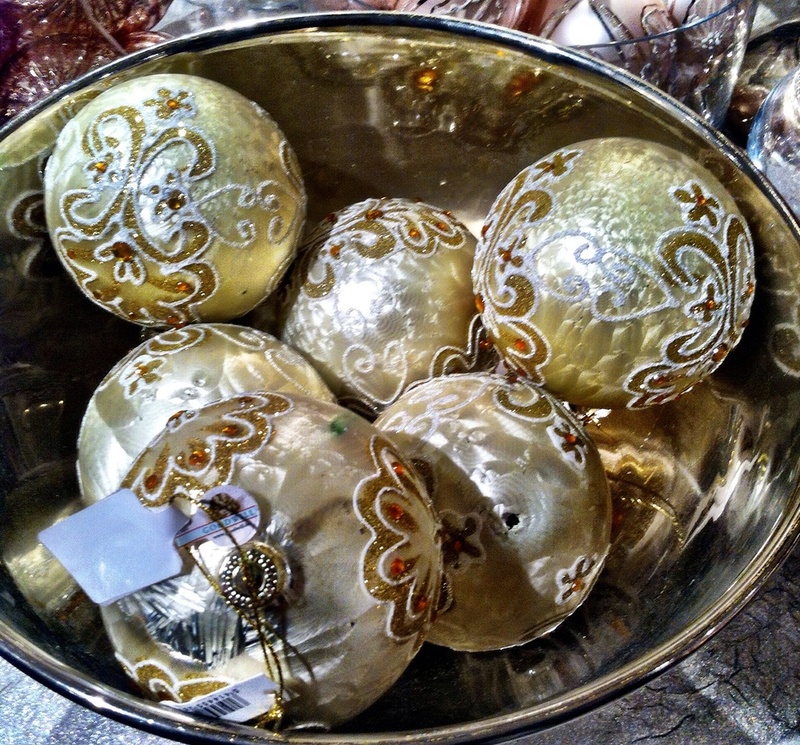 The baubles below are feathered and were beautiful, however they are completely different to any of my existing decorations so having just one or two wouldn't cut it, and having enough to make an impact would be expensive. There were of course plenty of reds and greens too - beaded, glittered and beautifully hand-painted with poinsettas. The pinks and purples weren't left out either, with almost every shade represented. And then there was a quieter, less riotous table where the pastel shades gathered in bowls of shiny and pearlised gloriousness calm. But for me, the real star of the show and the thing that got our most serious consideration was the penguins. 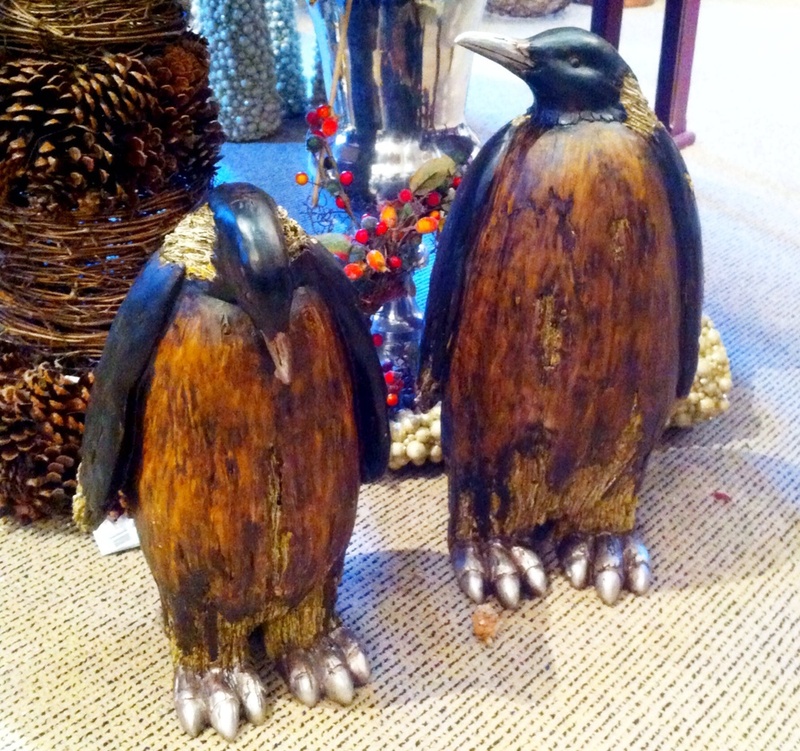 Of course, what every house needs is a wooden penguin! The smaller version (not shown) was £35, and they were incredibly tactile. MOH wasn't convinced because if there's one thing the Christmas adverts have taught us this year, it's that you can't just have one penguin, now can you? 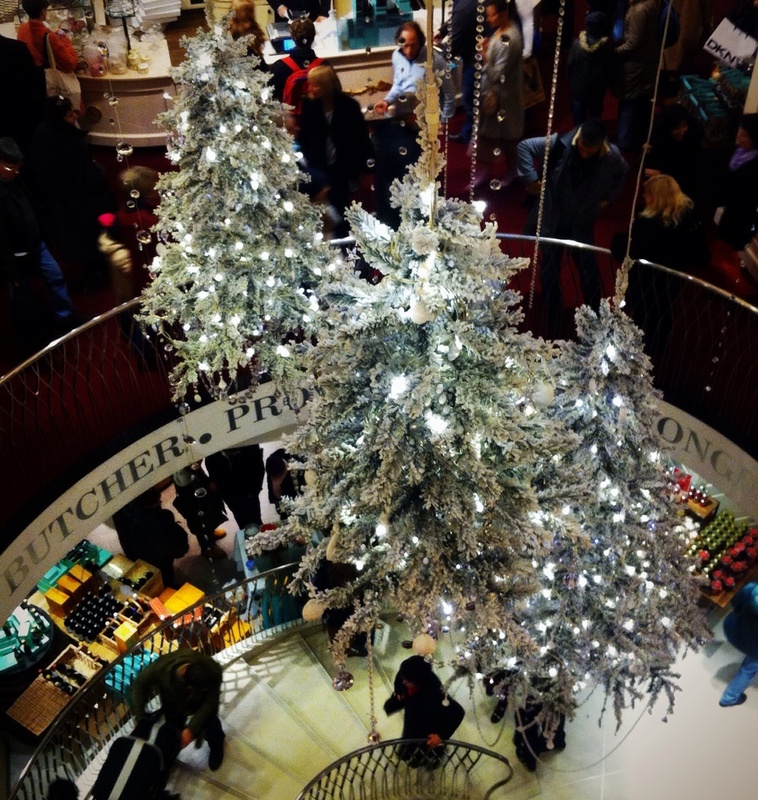 So with our fill of glittery treats and Afternoon Tea beckoning, we paid for our mince pies and headed towards The Hampshire in Leicester Square and its oasis of calm to while away the afternoon with sandwiches, scones and the odd bottle of fizz. 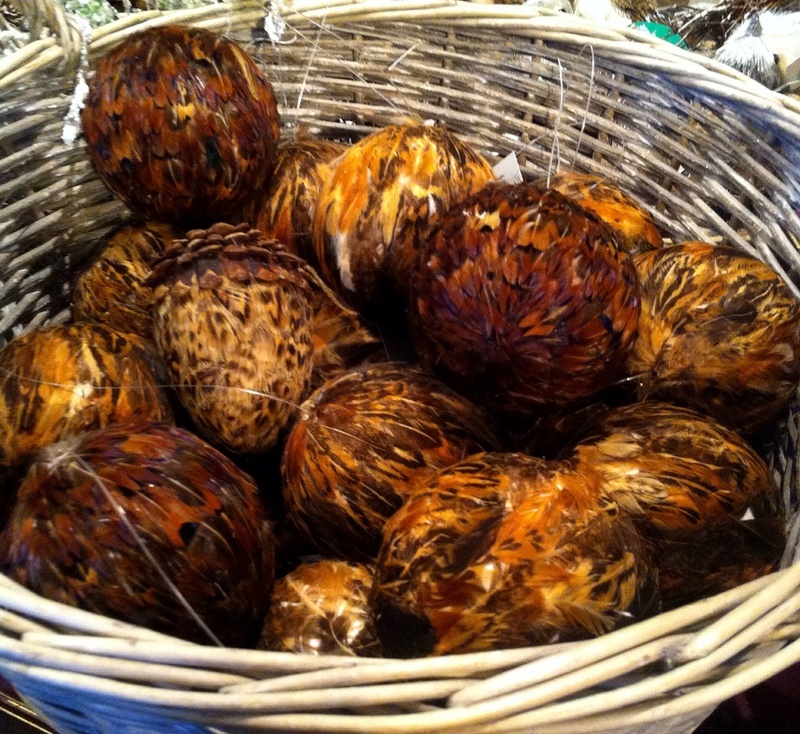 A completely different atmosphere - and one I'd recommend - to the frenzied shops nearby. 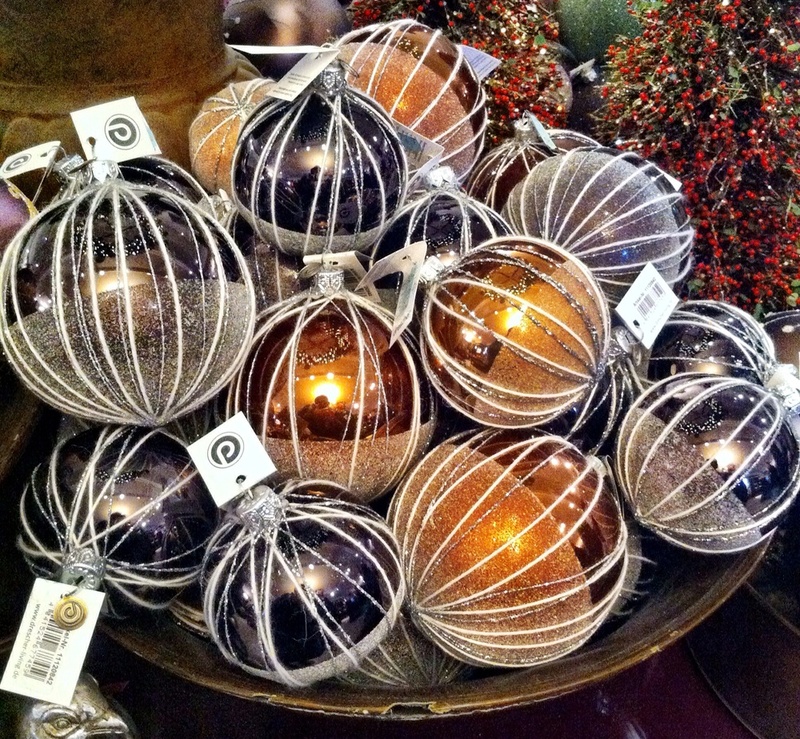 Our tree is now up at home and any of these baubles would look great on it - I'll admit though I tend to buy decorations after Christmas when they're better value. And while I love a coordinated look, it's something I don't think I ever quite manage, unless "throw-it-all-on" (or as least as much as I can before the tree groans) is a look! I'll share some pictures of our tree tomorrow, but what's your tree decorating style - do you have a themed look which changes year on year, or do you have a more "organic" approach and add to your stash each year? I'm linking this post to Our World Tuesday.